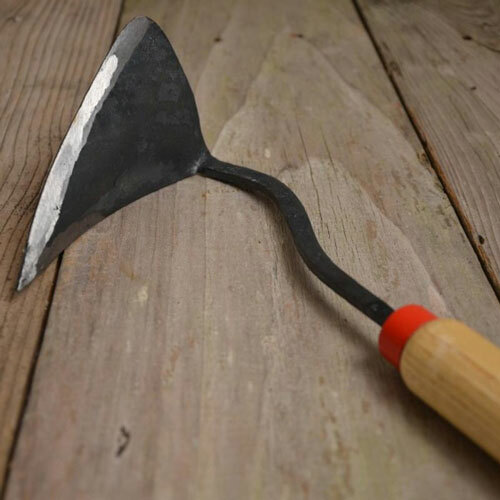 Made of railway steel with a beech wood handle, the lightweight Handy Hoe makes garden tasks easy. 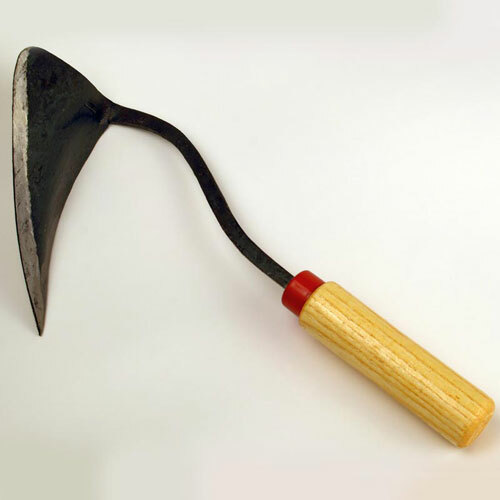 Its 6.5" head is angled down to easily get under the soil—and because both sides of the hoe can be sharpened, this tool can last for years. The Handy Hoe is perfectly balanced, curved shaft makes it easy and comfortable to use, and it's red cap makes it easy to find. Overall length: 12".